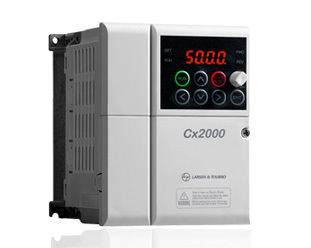 The Cx2000 adds a new dimension to L&T's AC drive solutions. 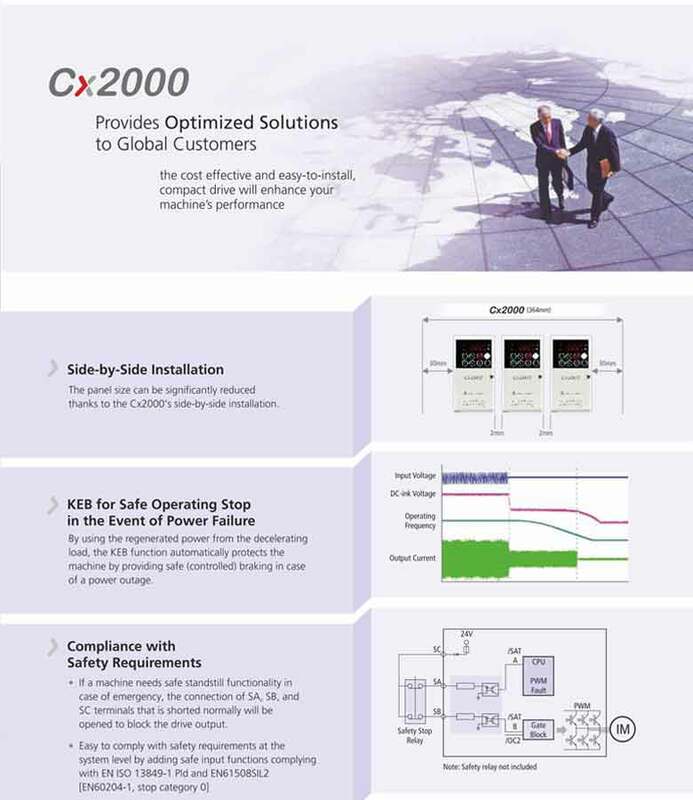 Built to L&T's stringent quality standards, the Cx2000 is tested and certified to meet global benchmarks, thus giving you the assurance of total reliability. Single Phase 230V - 0.1 to 2.2kW. 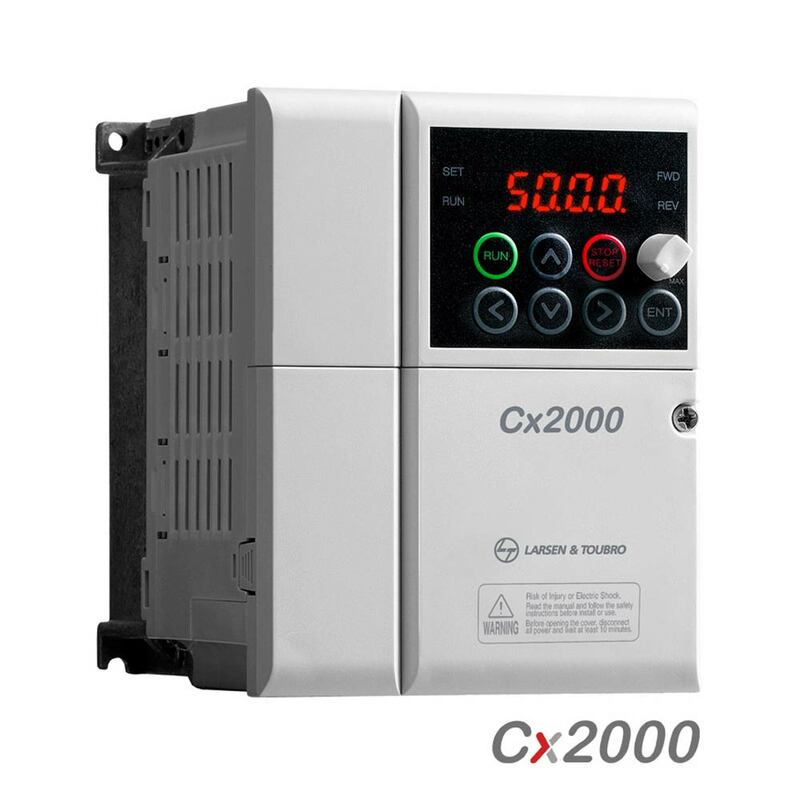 Three Phase 230V - 0.2 to 11kW. Three Phase 415V - 0.75 to 11kW. Starting Torque 150% at 3 Hz. Provides external potentiometer for easier frequency contro. 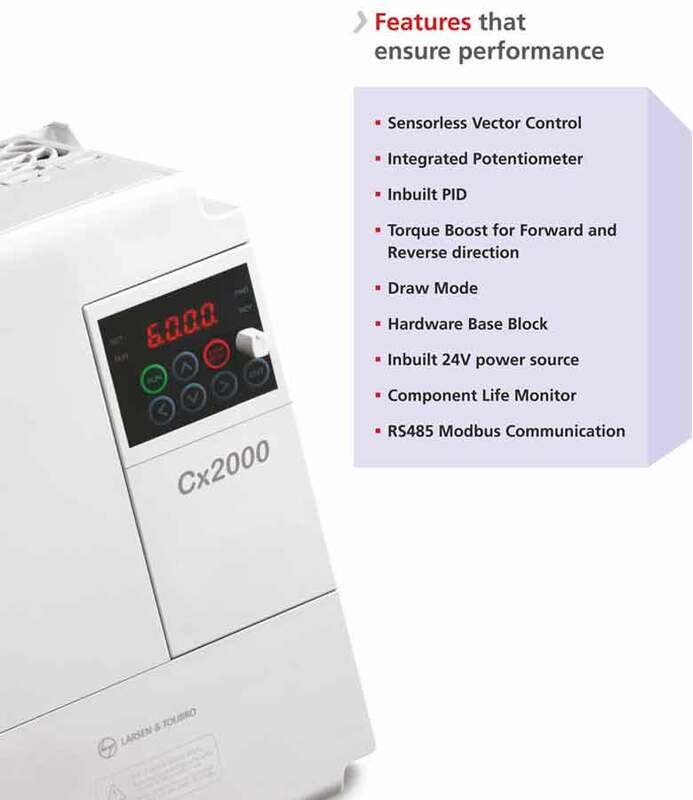 Single AC Drive can maintain 2 motor parameters connected to 2 different loads with different Accel / Deccl parameter setting.